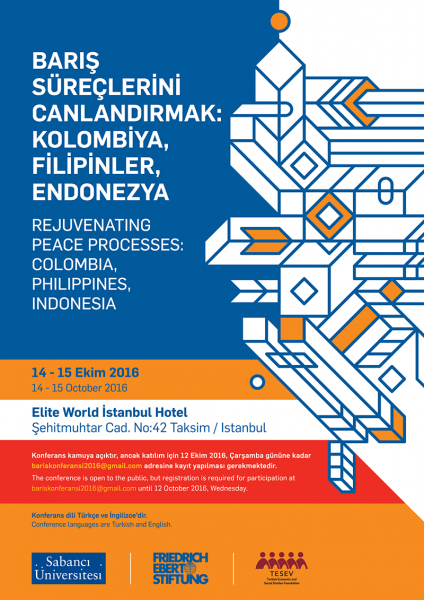 FES organizes in collaboration with Sabancı University and TESEV on 14-15.October 2016 in Istanbul a conference on “REJUVENATING PEACE PROCESSES: COLOMBIA, PHILIPPINES, INDONESIA”. 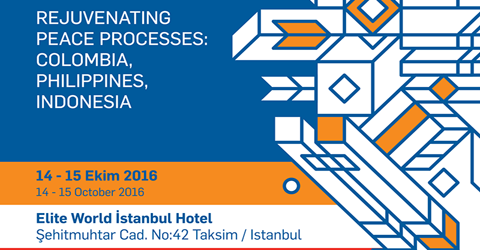 The conference is open to the public, but registration is required for participation at bariskonferansi2016@gmail.com until 12.October 2016 Wednesday. Conference languages are Turkish and English. Please click for the conference program and short biographies of the speakers.